Teaching a foreign language, such as English, here in Tucumán, a province in the North West of Argentina, is not an easy task. So teachers look for new material to motivate and to make our students be more willing to learn the language in the artificial environment we create to learn. We unfortunately do not have the possibility to make trips to an English-speaking country to live the language. We also have no or very little contact with English-language natives, so everything we create here should be as accurate as possible. Another big problem is getting the authentic material is very expensive for us; it comes from the other Hemisphere!! So as you can see we have many difficulties in the language acquisition process we plan to follow with our students. However, we have projects to teach different languages to ‘poor kids’ in our Province for them to broaden their frontiers or limitations, to know that the whole world is at their hand just by knowing how to communicate with it! We really do a big effort to cover all their and our expectations with a very little or no budget at all. But we all know that the communication unites our World every second through the web and suddenly we can find that from another part of our planet an idea of a person makes our classes to be a bit different from what we are used to. It is a great possibility that we should always take advantage of, and we do! Well, ‘Super Chill’ is the best thing that has happened to us in letting our students have fun and at the same time understand more about the culture, the language, the lifestyle of two different countries, such as England and the States! It is so important for our students to listen to the different accents and the different vocabulary uttered in the film as well! For our classes every episode is the biggest source for starting a new group of words or expressions to increase their vocabulary and the best method of learning about the way people live in those countries and their sense of humour too. It is great to watch Super Chill episodes as they are short and we can use them in a complete class; long films cannot fit a class and after one or two days, we cannot remember the key instants that are rich for us to teach. Instead, a short one offers us the great opportunity to repeat it more than two or three times improving the understanding of it more properly. So these continuing stories with the same characters and using the good sense of humour is what we like the most from them and for our lessons. Thanks so much SUPER CHILL for your work and for offering openly to the WORLD!! It has reached us in Argentina! 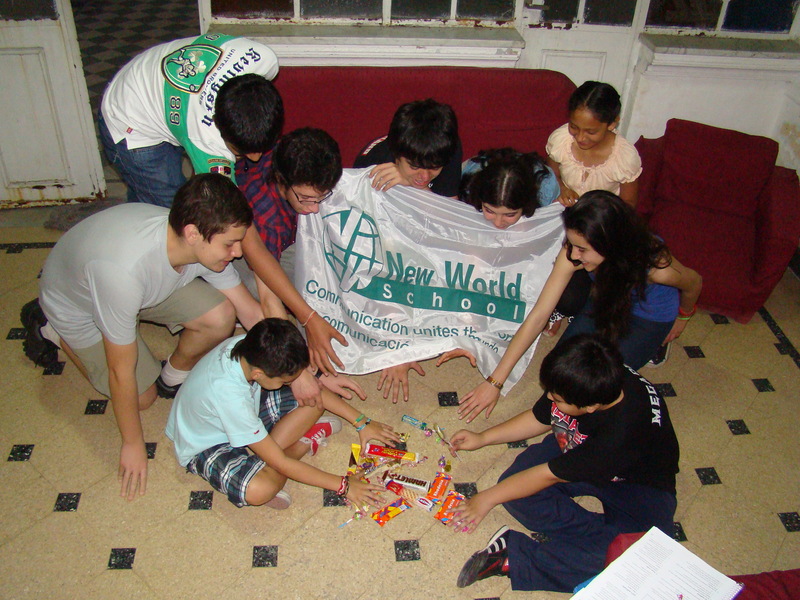 Keep on working and we all, teachers and students from New World School in Argentina wait to enjoy your future films!! 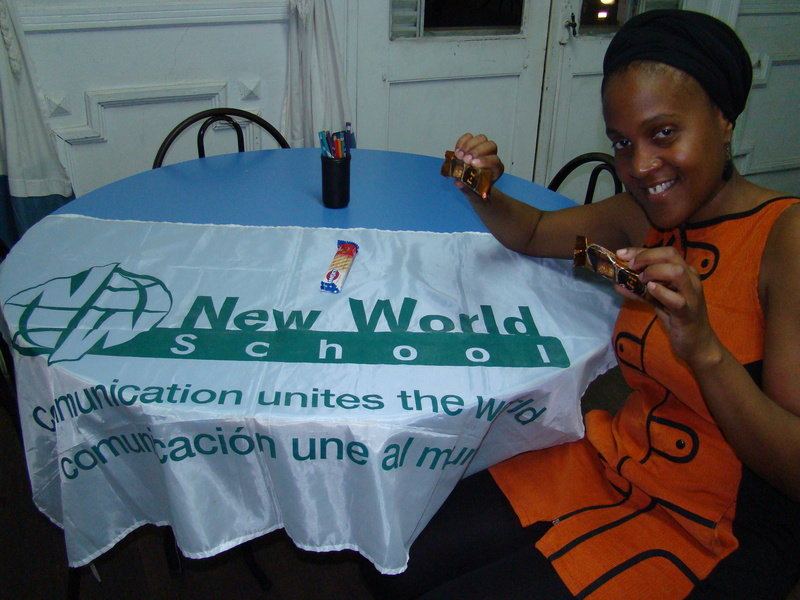 To hear more about the New World School click here. If you’d like to write to us to tell us about your Super Chill experiences then write to superchilltv@gmail.com or tell us about them on facebook. We’d love to hear from you. Reblogged this on The Ash Tray.